The latest avatar of business is digital marketing. 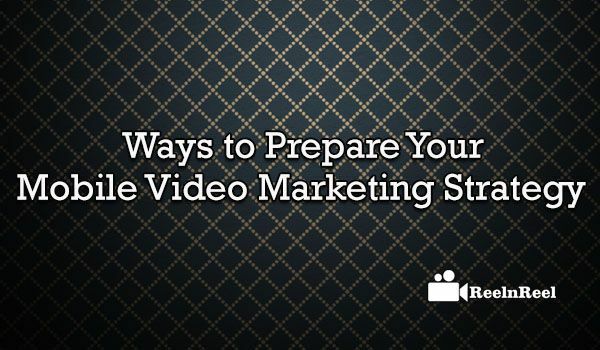 The content marketing needs video as an integral part of the campaign. With the ever increasing share of mobiles (world-over), it is all the more important that the marketer is able to finalize his video marketing strategy to suit mobiles as well. The importance of video is better understood with the fact that people are not able to find time to read articles on a varied subject, but they are able to watch videos (with the same content as that of the articles). Besides, videos are much easier to digest and the content of the same will be remembered for a longer duration. People are interested in watching shorter videos (in comparison to larger videos). Also as the mobiles are coming with smaller screens, the user might find it difficult to watch lengthier videos. So placing optimum sized videos is the first and foremost duty of the digital marketer. Compared to detailed stories, a brief presentation of the facts in the format of a table or a graph will reap better response from the viewers.The content of many pages can be condensed to one graph or a table. As per the general belief, people love stories.The digital marketer should adopt a suitable plot to cover his total story and there needs to be the proper narration of the same. The story should be short but informative. This technology creates a belief (in the minds of the user) about the product being offered by the marketer. The user will be interested in obtaining more information through tutorials and hence he is more likely to become a purchaser. Search engine has always played its share in the promotion of any product/concept. The digital marketer, before finalizing his video marketing strategy, should complete his groundwork relating to SEO.Proper utilization of this feature will get more customers. The marketer has to be doubly sure about his priorities – whether the sale or special offer – when he approaching the mobile users for video marketing his products. The content supposed to be in the mobile video marketing, should be user-friendly. The user should be comfortable with the navigation, content and also the ability to like/share/comment on the content. The mobile users will have little time to go through lengthy presentations on the mobile for finding solutions to their queries.Rather, the market has to finalize his mobile video marketing strategy with an eye on offering solutions and providing information. This has been the evergreen attribute that contributes to the success of the campaign.Constant interaction with the user by the marketer ensures that the mobile users are maximum provided the required information so that they can proceed towards the purchase decision. With every day more and more models of mobiles flooding the market, the mobile user is free to choose mobile of his choice.The digital marketer should keep in mind that the users are having various models of mobile phones with different OS.The content should be compatible across various brands and OS of mobile phones. For maintaining a competitive edge over the competition, the digital marketer can’t ignore the important segment of the mobile video market. He has to take care of the above topics (though not exhaustive) to ensure proper mobile video marketing strategy is in place and that he can enjoy success for his campaigns.